We have no old photos of Balmacara available currently. You might like browse old photos of these nearby places. 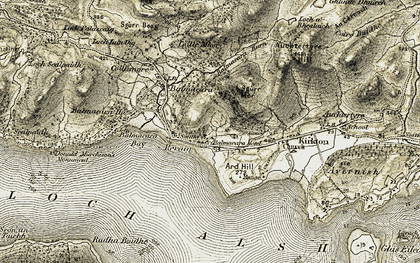 Historic Maps of Balmacara and the local area. We are busy preparing more old maps of Balmacara from other years. Read and share your memories of Balmacara itself or of a particular photo of Balmacara. Hi, although from the Orkney Islands I went to Balmacara House School for a year from 1971 to 1972, it was a great time in my life as I had not been out of Orkney much till then so it was a big step for me, I hope someone from that time reads this as I've lost contact with them all.